The Columbia Disaster is one of the most tragic events in spaceflight history. Its impact on US human spaceflight program, and the resulting decision to discontinue the Space Shuttle Program, was so dramatic that to this date NASA has not recovered an autonomous human access to space. This section of Space Safety Magazine is dedicated to the Columbia disaster. By reading this introduction, and the articles accessible from the sidebar, you will learn all the facts that led to this tragedy, its technical and organizational causes, its consequences on NASA and future human spaceflight programs, the lessons learned, and the precious testimony of people directly involved in the event. The lessons learned remain as relevant today as they were in 2003, if only we can keep them alive and continue to learn from this modern tragedy. February 01, 2003. It was an ordinary morning at the Kennedy Space Center in Cape Canaveral, Florida. Spectators had gathered to watch Space Shuttle Columbia make what was considered another routine landing. They only numbered a couple of hundred, compared to the thousands who had gathered to watch STS-1 land. Nothing unusual was anticipated that day at NASA. 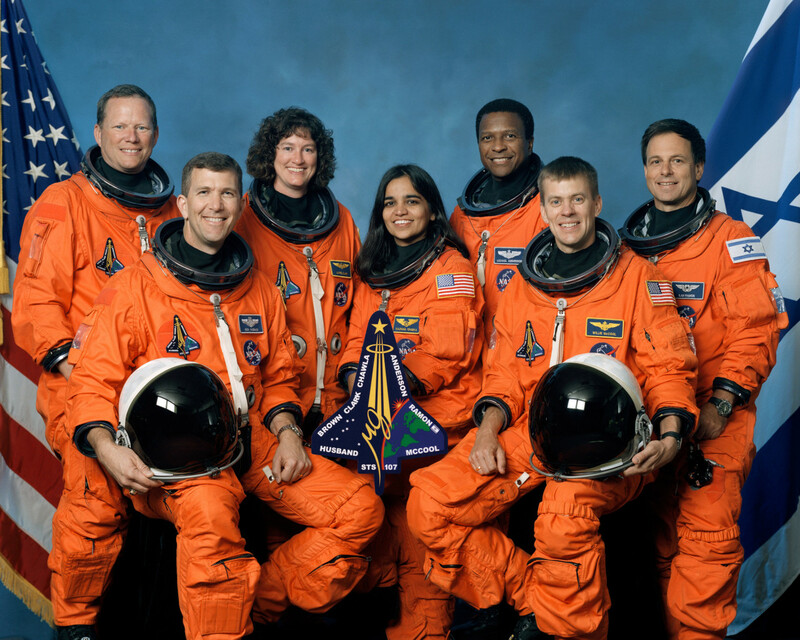 The seven-member crew of STS-107 was preparing to come home after a successful 15-day mission. Captain Rick Douglas Husband, Pilot William “Willie” Cameron McCool, Payload Commander Michael P. Anderson, Payload Specialist Ilan Ramon, and Mission Specialists David McDowell Brown, Kalpana “KC” Chawla, and Laurel Blair Salton Clark, had conducted microgravity research and completed experiments on commercial payloads on the debuting SPACEHAB Research Double Module. They were relaxed and jovial as the Shuttle re-entered the atmosphere, even shooting a video of what – no one realized – were their last moments. 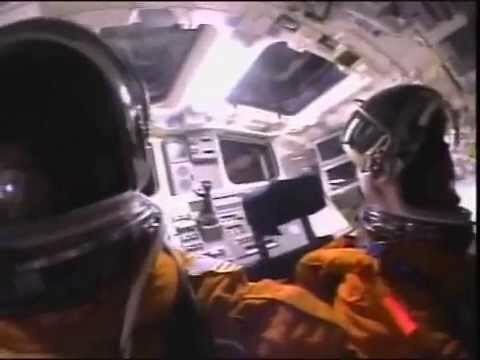 While reentering the atmosphere, the crew of Columbia shoots a video, which was recovered later on during the search and rescue operations. Columbia was the first fully operational orbiter of the Space Shuttle Program. Its inaugural flight was on 25th March 1981. More than two decades later, STS-107 was Columbia’s 28th mission. Inside mission control, engineers performed all the last minute checks. Everything seemed nominal. Entry Flight Director LeRoy Cain gave Shuttle commander Rick Husband the go-ahead to initiate deorbit and reentry procedures. But nine minutes after entry interface into the Earth’s atmosphere, the ground team encountered the first hint of abnormality. Telemetry indicated that hydraulic fluid temperatures had suddenly gone off-scale low. The sensors measuring the data were all located in the aft of the Shuttle’s left wing. There was no commonality that could explain the fault and all other hydraulic system indications were good. Soon, loss of tire pressure on the left side followed, with the readings again going off-scale. This was already bad news for the Shuttle. Columbia could not make a landing while losing tire pressure. Further losses of sensors in the nose gear and main gear compounded the nervous atmosphere in mission control. Then all communications from Columbia ceased abruptly. Patchy communications were expected during re-entry, but not deathly silence. All efforts from Houston to hail Columbia failed. Even the radar used to track the Shuttle did not spot anything. 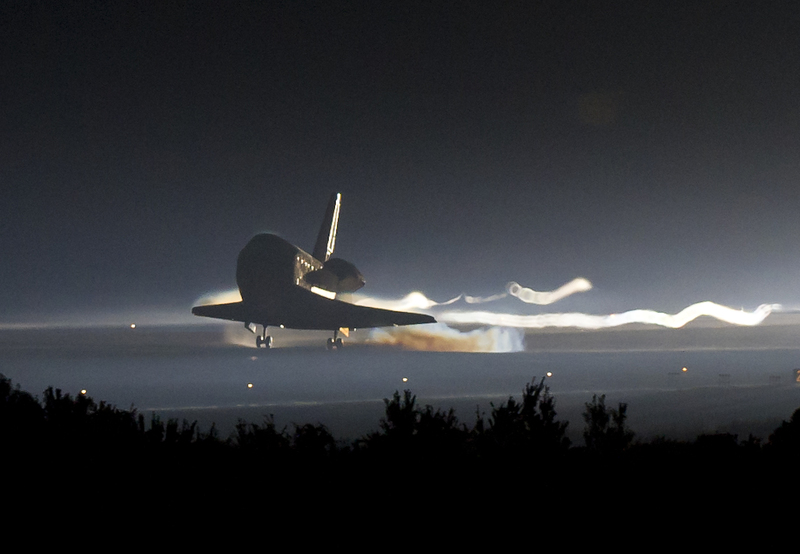 The Shuttle’s trajectory was timed to perfection. So there was no way for it to be ‘late’. The absence of communication and tracking data could mean only one thing. “Lock the doors”, remarked flight director Cain. It was a standard procedure to cut off contact with the outside world and keep all information within the room. Just as in a crime scene. Meanwhile, reports were coming in from Texas, which lay along Columbia’s descent path, of people spotting fireballs and falling debris from the sky. There were no doubts left. Space Shuttle Columbia and crew were lost. Inside Mission Control, the Flight Controllers become aware of Columbia’s failed reentry. “My fellow Americans, this day has brought terrible news and great sadness to our country. At 9 o’clock this morning, Mission Control in Houston lost contact with our Space Shuttle Columbia. A short time later, debris was seen falling from the skies above Texas.” President George Bush delivered his speech, offering condolences to the families of the fallen astronauts, while vowing to continue America’s journey into space. Before launch, there were even concerns of a probable terrorist attack on Columbia, which was carrying the first Israeli astronaut. The disaster seemed to prove these fears, but a few hours after the event, these hypotheses were dismissed. 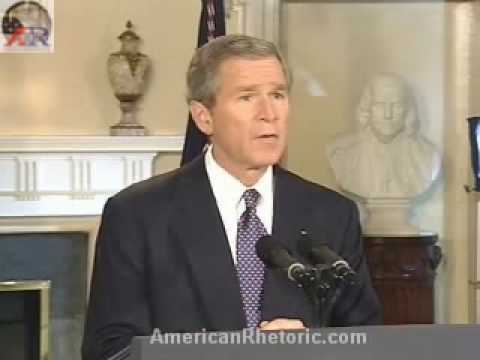 President George Bush addressing the nation after the Columbia accident. As soon as disaster struck, NASA activated the International Space Station (ISS) and Space Shuttle Mishap Interagency Investigation Board according to its Contingency Action Plan for Space Flight Operations. The day after the accident, all the board members were officially appointed with Naval Admiral Gehman as the chairman. Other members appointed were Major General John L. Barry, Director of Program and Plans for the Air Force Material Command, Rear Admiral Stephen A. Turcotte, Commander, Naval Safety Center, Brigadier General Duane W. Deal, commander of the subordinate 21st Space Wing, Major General Kenneth W. Hess, U.S. Air Force (USAF) Chief of Safety, G. Scott Hubbard, Director of the Ames Research Center, Dr. James N. Hallock, Department of Transportation (DOT) Chief of Aviation Safety Division and Steven B. Wallace, Federal Aviation Administration (FAA) Office of Accident Investigation. Additional members joined soon after, including Douglas D. Osheroff, Nobel laureate in Physics from Stanford, John M. Logsdon, Director of the Space Policy Institute at George Washington University, Sheila E. Widnall, Professor of Aeronautics and Astronautics at MIT, Roger E. Tetrault, retired Chairman and Chief Executive Officer of McDermott Internationaland astronaut Sally Ride, who was also part of the Challenger investigation team. Right from the start, the board aimed to investigate how the Columbia disaster happened as well as look into NASA’s organization and culture. To reflect this approach, the board changed its name to the Columbia Accident Investigation Board (CAIB). The world was shocked. The nation grieved. But at NASA, there was work to be done. The first step was to collect the Shuttle’s wreckage in order to start piecing together what happened. As Mike Ciannilli, Project Manager of the Columbia Research and Preservation Office, recounts in our story “Living with Columbia”, this was not an easy task. The debris was spread over an area of 5129 sq. km in east Texas, necessitating the largest search in American history. It took four months for all the debris to be assembled. CAIB and its partners could finally complete the technical post-mortem. The CAIB report determined that the technical cause of the accident was a faulty design in the External Tank. A piece of insulating foam broke off the tank just after launch and struck the leading edge of the Shuttle’s left wing at a relative velocity of 670-922km/h. Although the incident was discovered two days after the launch during a routine post-launch photo analysis, managers at NASA deemed it “absolutely no concern for entry”. The six volumes of CAIB report explain the sequence of events that led to the breakup of the Shuttle. An apparently harmless 1kg piece of foam debris had blown a hole in the left wing. While it seems impossible that low-density foam can destroy a reinforced carbon-carbon panel, ground tests proved this fact to be true at tremendous speeds. The hole in the thermal protection tile allowed super-heated air, produced during atmospheric entry, to pass through. The heat penetrated the insulation and ultimately destroyed the left wing. The thermal degradation resulted in “resulted in a rapid catastrophic structural breakdown rather than an instantaneous explosive failure”. At an altitude of 42,672m, the crew module separated from the fuselage, triggering instant depressurization. For all the details, read Cause and Consequences of the Columbia Disaster by Gary W. Johnson, an Aerospace Safety Consultant who worked for NASA. NASA later revealed that foam strikes had been seen in almost every Shuttle launch and that it had never proved a problem before. Their flawed reasoning combined with wrong assumptions in modeling the impact (that predicted the depth to which the foam debris would penetrate a Thermal Protection System tile), ultimately led seven astronauts to pay with their lives. The high speed impact testing of a block of foam into a reinforced carbon-carbon model of Space Shuttle wing proved that the foam strike was the most likely cause of the Columbia disaster. But what really happened to Columbia’s crew? Besides the loss of the vehicle, the Columbia disaster was first and foremost a human tragedy, and NASA wanted to know what killed the Columbia crew. The investigation revealed that when the crew module separated from the fuselage, rapid depressurization occurred. The crewmembers did not even have the time to close their helmet visors. Some of the crew were not wearing helmets or gloves and “were incapacitated within seconds”. The unconscious crew was subjected to rotation forces caused by the Shuttle’s rolling after the loss of the left wing. The seat restraints could not prevent lethal blows from other objects in the crew module. 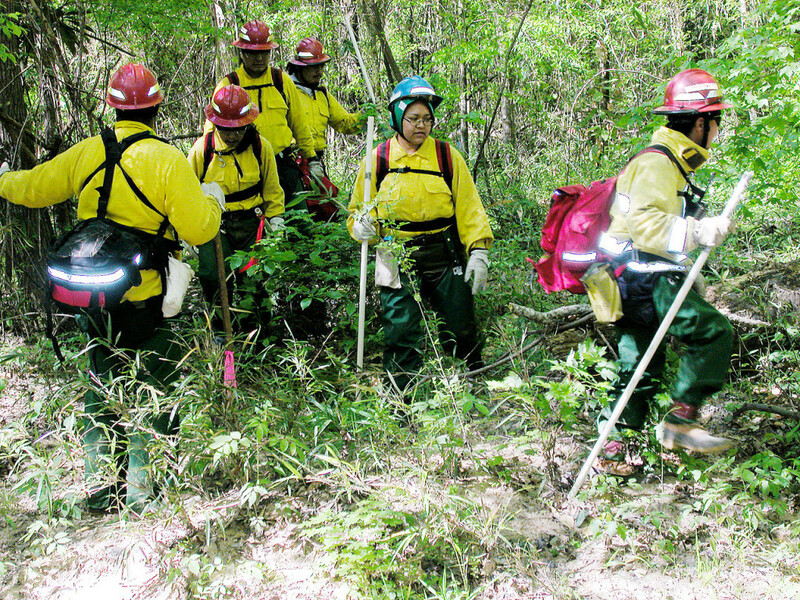 Even if they had been wearing all their gear, the report predicted they had little chance of survival. It states the cause of death as ‘blunt trauma and loss of oxygen’. A damaged videotape that was recovered from the wreckage shows the final few moments of the crew. Ironically, they are seen enjoying the effects of the heat caused by re-entry, glowing against the window, which would later rip the Shuttle apart. NASA tried to remove the Crew Survival Working Group section from the CAIB report, considering it too disturbing for the victim’s families. Dr. Jonathan Clark had a different opinion, and he was in a unique position. From one side he was a Space Shuttle Crew Surgeon, and he had always been involved in topics like crew survival. From the other, he had been directly affected by the tragedy, as he was the husband of Laurel Clark, one of the victims. 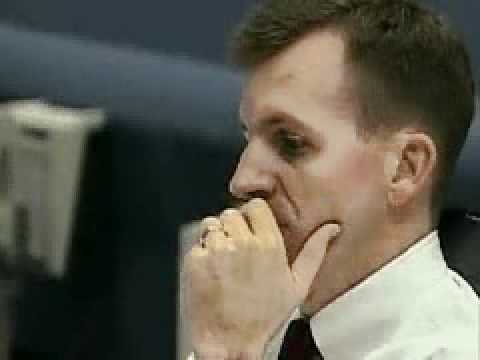 Either way, he believed that the Columbia Crew Survival Working Group section constituted a fundamental document that had to be published to prevent a similar tragedy in the future. He discussed the issue with the other affected families, and got their unconditional approval to publish it. A second commission, the Spacecraft Crew Survival Integrated Investigation Team (SCSIIT), was formed a year after the tragedy “to perform a comprehensive analysis of the accident, focusing on factors and events affecting crew survival, and to develop recommendations for improving crew survival for all future human space flight vehicles.” Clark was a member of the SCSIIT and spent months investigating the last instant of the life of the crew. The result was a detailed report, entitled Columbia Crew Survival Investigation Report. On December 30, 2008, the 400 page report was finally released to the public. In 2009, Jonathan Clark joined the Red Bull Stratos team as medical director, hoping to help developing the gear that could save future crews from accidents like Columbia. His dream came true on October 14, 2012, when Felix Baumgartner survived a parachute jump from 39km, very close to the altitude where Columbia broke apart. Bryan O’Connor, NASA Chief, Safety and Mission Assurance and former Shuttle pilot, lists his personal lessons learned from the disaster in “Lessons learned from the Columbia disaster”. He says they should never have gotten complacent following a decade and a half of successful Shuttle missions. The Shuttle was, in effect, a 30-year flight test program and not “purely operational”. “Organizational factors of the Columbia disaster” tackles the importance of creating a culture of open communication in an organization. Both the Inter-center Photo Working Group Chair and Debris Assessment Team had requested on-orbit photos of the Shuttle in order to assess possible damage from the foam debris. Wayne Hale, then the incoming Space Shuttle Program Launch Integration Manager, was in the process of contacting the US Department of Defense (DoD) to pass on this request to capture on-orbit photos. But he was struck down by Shuttle manager Linda Ham. Senior managers at Johnson space center had declined the need for such information, overruling the engineers. In a later interview, flight director LeRoy Cain said there were five meetings on the foam issue but they all concluded with no action required. Somehow the engineers’ sense of urgency never made it to the top. Hale was even told by Jon Harpold, then NASA director of mission operations, “You know, there is nothing we can do about damage to the thermal protection system. If it has been damaged it’s probably better not to know. I think the crew would rather not know. Don’t you think it would be better for them to have a happy successful flight and die unexpectedly during entry than to stay in orbit, knowing that there was nothing to be done, until the air ran out?” NASA ignored the issue hoping it would not be a problem. What NASA learned from the Columbia disaster has been captured in programs such as the Academy of Program/Project and Engineering Leadership (APPEL), which serves as a resource for future NASA investigation boards, government and private agencies. 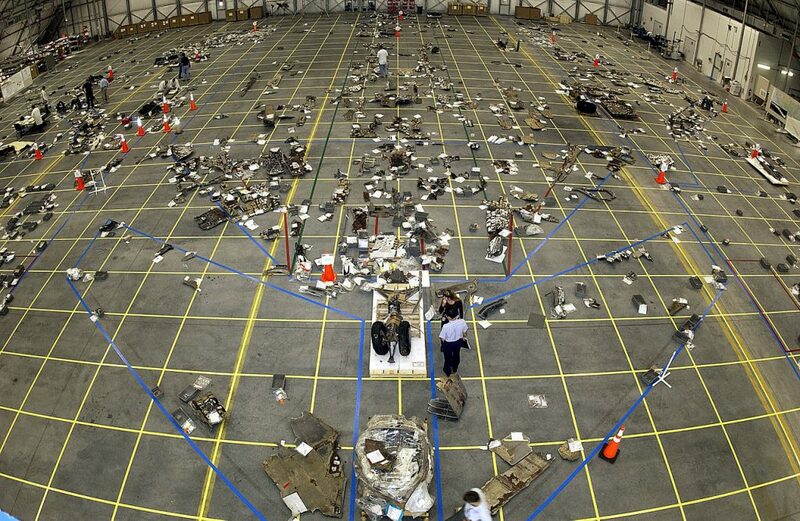 The recovered debris of Shuttle Columbia. – Credits NASA. Despite being an organizational failure, someone had to take the fall. Responding to pressure from the congress, NASA reassigned certain key personnel involved, including Ron Dittemore, the Shuttle program manager, General Roy Bridges, director of the Kennedy Space Center and Linda Ham, head of mission management. A host of changes were made in the hardware as well as program procedures. The External Tank Thermal Protection System was redesigned to reduce foam shedding. Video cameras were installed on the External Tank, boosters, and impact sensors set up on the Shuttle nose cap and reinforced carbon–carbon panel on the wing. After all subsequent launches, ground engineers used these cameras to inspect the TPS tiles. The assistance of the International Space Station as well as the Shuttle’s own robotic arm has also been taken to inspect the heat shield. The Columbia Disaster was also the first space accident that posed the general public in danger. It was by pure chance that Columbia’s debris had fallen over sparsely populated regions of Texas. The accident warranted NASA to include public risk acceptability criteria for all launches and reentries. NASA worked with the Federal Aviation Administration (FAA) to develop a real-time mishap response system to alert aircraft and rapidly clear potentially threatened airspace during subsequent Shuttle reentries. Dr. Paul Wilde, technical advisor for the Chief Engineer in the FAA Office of Commercial Space Transportation, explains the “impact of the disaster on US aviation safety”. The Agency kept its commitment to safety by establishing the NASA Engineering Safety Center and a Chief Safety Officer for Space Shuttle. It took two and a half years to complete the reviews, hearings and investigations and for the modifications to be put in place. Even then, it was a close call for Discovery, NASA’s return to flight Shuttle. Wayne Hale narrates the events in “How we nearly lost Discovery”. The most significant outcome of the Columbia accident, however, was CAIB’s recommendations that led to the end the Shuttle Program. NASA would keep their commitment to complete the International Space Station, a task that could only be carried out by the Shuttle, then retire the orbiter fleet, and fly their astronauts on Russian Soyuz until a new vehicle will become available. Atlantis lands at the Kennedy Space Center, bringing the Space Shuttle program to an end. – Credits: NASA. The space Shuttle is the most complex, human-rated space vehicle ever flown. Its capabilities, unfortunately, demanded a large budget that ultimately caused its demise. In the aftermath of the Columbia investigation, the political administration realigned its priorities. Instead of conducting a rigorous recertification program for the Shuttles as recommended by CAIB, the decision was taken to retire the Shuttle fleet after assembly of the International Space Station. Eight years after the accident, Shuttle Atlantis made an emotional touchdown at the Kennedy Space Center, thus bringing to an end a remarkable program. Maybe Columbia did end the Shuttle program, but it also made space flight much safer for generations of future astronauts.